Mundo Antiguo is a local organization dedicated to language programs and cultural exchanges in Peru. 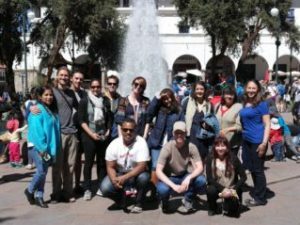 Please take a look at the services we offer like Spanish courses, a volunteer program, internship placements, tours and accommodation in Cusco. 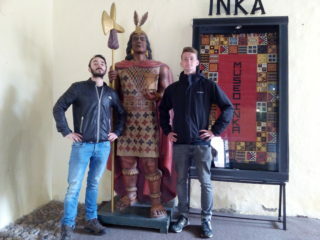 We are really looking forward to meeting you in Cusco! 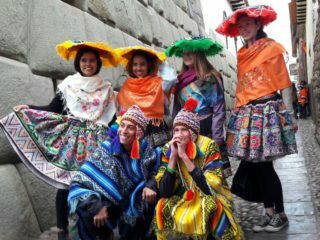 Mundo Antiguo: Spanish courses, volunteer or internship program, tours and accommodation in Cusco, Peru. If you want to take a language course, Cusco might be the best place in the world to do this. 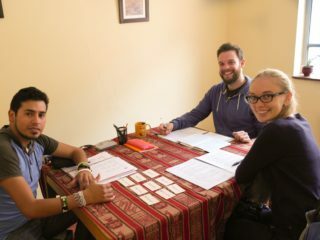 Check out why you should come to Peru and learn Spanish in the language school of Mundo Antiguo Cusco! When you take a language course with Mundo Antiguo, you will get lots of free extras. Enjoy our free fun activities and read about all the free services we offer you in our school in Cusco! 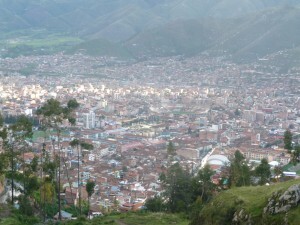 Share an apartment in Cusco with other international students. Make new friends! Or try a home stay with a local host family. Practice your Spanish and learn all about the Peruvian culture! Make the most of your time in Cusco with an intensive 4-week Spanish immersion program. During the program you will learn Spanish, stay with a guest family and do amazing tours in Peru! 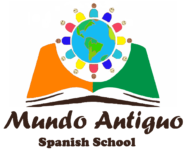 Take an individual Spanish course at the Spanish language school of Mundo Antiguo. And do a home stay at a nice guest family in Cusco. The perfect combination! 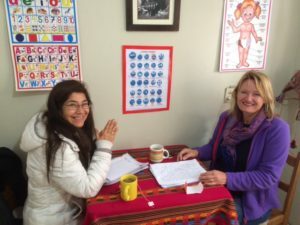 Learn Spanish with our popular group course and stay in a local guest family in Cusco. Practice your Spanish and learn all about the Peruvian culture. Check our offer now! No time to stay in Cusco for an extensive language course? Take the crash course Survival Spanish. We will give you the basic language tools that you need for your trip through South America. Learn Spanish online with us! Take classes from home with our online learning program. Easy program and effective course with a very attractive price. So don´t wait and start learning online now! Do you want to hike the classic Inca Trail? Plan your tour to Machu Picchu, Lake Titicaca, Colca Canyon or the Amazon? Mundo Antiguo has programs which include the most popular tours in Peru. 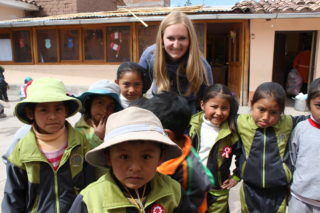 Volunteering with children in a kindergarten in Cusco. Work in a poor neighborhood in Cusco. 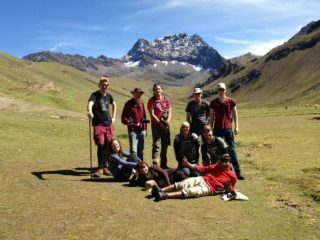 Come to Peru as a medical volunteer or do volunteer work in the Sacred Valley in Urubamba. Mundo Antiguo Internship in Cusco is an internship agency, offering mediation for placements for students from all over the world. 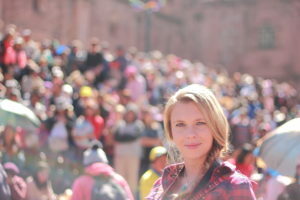 Let us find the perfect internship in Cusco for you! For most people it is really easy to come to Peru to study at our school, volunteer, do an internship in Cusco and travel! 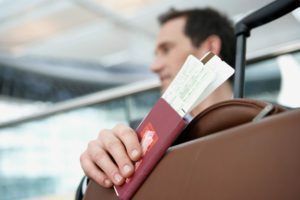 Find out if you need a visa, passport information and immigration issues. I enjoyed taking classes here and the teachers were kind and patient. They made the time fly. I would recommend to other people. This is a great up and coming school and the staff were all very helpful in all aspects of learning. They could teach Swahili to a dog! This was a very good class for the money. I am on my way to being fluent. Please contact us with any questions you might have. We are very happy to give you more information about our services. And we would be very glad to help you organize your stay in Cusco. We offer personal attention and flexibility in your program with us. And we can make a customized program for you. So contact us now! Contact Mundo Antiguo Spanish school in Cusco!